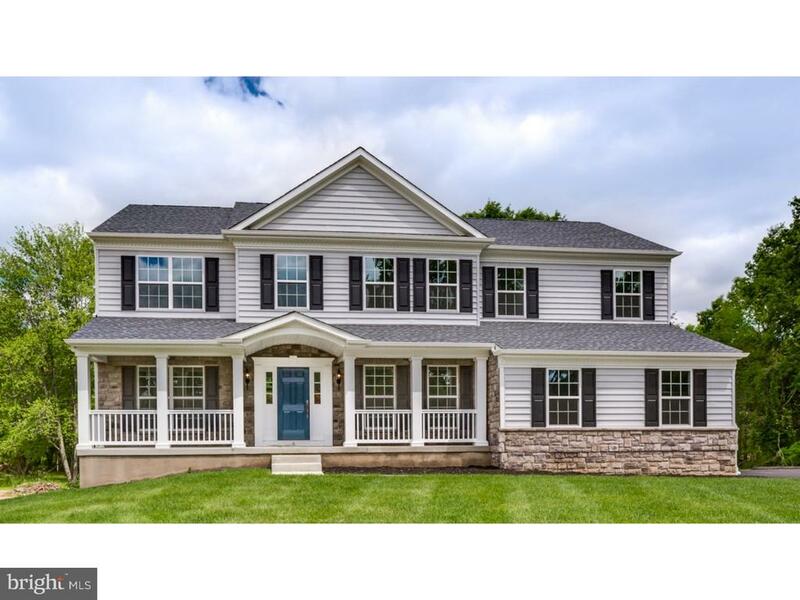 All Medford Twp homes currently listed for sale in Medford Twp as of 04/20/2019 are shown below. You can change the search criteria at any time by pressing the 'Change Search' button below. 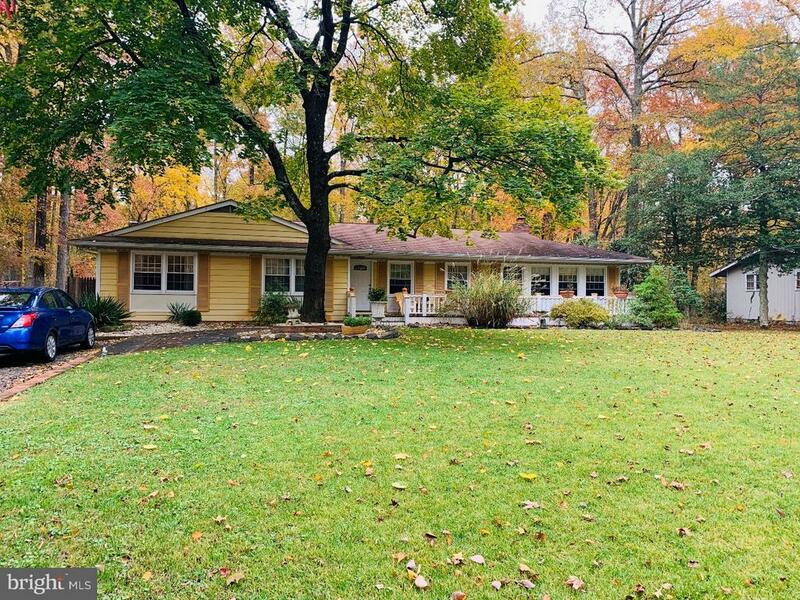 If you have any questions or you would like more information about any Medford Twp homes for sale or other Medford Twp real estate, please contact us and one of our knowledgeable Medford Twp REALTORS® would be pleased to assist you. "Hidden Creek is Bruce Paparone's newest luxury home community in historic Medford Township, Burlington County, New Jersey. Just four home sites are available on this quiet cul de sac located just two minutes from Medford Village on Main Street. Medford Village was settled in 1762 and is now home to unique gift shops, boutiques, restaurants and cafes, and The Medford Arts Center. Life at Hidden Creek will allow you to enjoy all that the community of Medford has to offer including year round community events and many parks and recreation areas. The quiet location of Hidden Creek is 30 minutes from Philadelphia and 45 minutes from the Jersey shore. As a resident, you will have access to a variety of outstanding schools including Pre-K through college. The Brandywine Model is available to be built immediately. This Energy Star Certified, luxury home is Paparone's most impressive floor plan to date. There are three elevations to choose from so that you can personalize your new home to your liking. There are far too many features to list but we can say that from the foyer that stretches from the front entrance to the rear of the home and includes an extra wide staircase, to the master suite with it's own foyer entry and separate sitting room, you cannot live more luxuriously than in this home. Other highlights include a sunny morning room off the kitchen, prince/princess suite with private bath, rear staircase, butler's pantry and an additional side entry door to an over sized family foyer. A gas fireplace is included in the family room along with upgraded crown molding and chair rail. This opportunity won't last so call today for more information. Photos are not of the actual listing, photos are of builder's model home." "4 Woodsfield Court is a fabulous custom built home by Gary Gardner located on 2.2 acres in one of the finest Medford communities. Woodsfield is a quiet enclave of 19 custom homes,directly adjacent to Medford Lakes country club and pinelands open space. This large home features about 6,000 square feet of living space that includes the finished basement and the bonus 3rd floor. The high end finishes are throughout the entire home, vaulted ceilings, oversised doors and custom trim,brazilian floors, wrought iron railings,dual staircases, huge center island gourmet kitchen & breakfast area complete with stainless steel appliances. The recent first floor family room addition is spacious enough to be a private bedroom suite if needed. 3 plus fireplaces, 4 zone heating and cooling system, 2 hot water heaters, attached 3 car garage with plenty of extra storage space." "Hidden Creek is Bruce Paparone's newest luxury home community in historic Medford Township, Burlington County, New Jersey. Just four home sites are available on this quiet cul de sac located just two minutes from Medford Village on Main Street. Medford Village was settled in 1762 and is now home to unique gift shops, boutiques, restaurants and cafes, and The Medford Arts Center. Life at Hidden Creek will allow you to enjoy all that the community of Medford has to offer including year round community events and many parks and recreation areas. The quiet location of Hidden Creek is 30 minutes from Philadelphia and 45 minutes from the Jersey shore. As a resident, you will have access to a variety of outstanding schools including Pre-K through college. The Stoneleigh Model is Energy Star Certified and available to be built immediately. There are three elevations to choose from so that you can personalize your new home to your liking. Features of this elegant home include an stunning two-story foyer entry with a graceful curved staircase. The uniquely angles first floor layout is a must see. A rear staircase accesses the second floor from the large family room. The kitchen includes a large center island and an attached morning room surrounded by windows. The master suite includes a sitting room, large walk-in closet and luxury master bath with soaking tub, separate shower and vanity with two sinks. An additional princess bath off of bedroom #2 brings the total full baths to three! A gas fireplace is included in the family room along with upgraded crown molding and chair rail. This opportunity won't last so call today for more information. Photos are of builder's model, not of actual listing." "Hidden Creek is Bruce Paparone's newest luxury home community in historic Medford Township, Burlington County, New Jersey. Just four home sites are available on this quiet cul de sac located just two minutes from Medford Village on Main Street. Medford Village was settled in 1762 and is now home to unique gift shops, boutiques, restaurants and cafes, and The Medford Arts Center. Life at Hidden Creek will allow you to enjoy all that the community of Medford has to offer including year round community events and many parks and recreation areas. The quiet location of Hidden Creek is 30 minutes from Philadelphia and 45 minutes from the Jersey shore. As a resident, you will have access to a variety of outstanding schools including Pre-K through college. The Oxford Model is available to be built immediately. There are three elevations to choose from so that you can personalize your new home to your liking. Features of this elegant home include an impressive two story foyer with dual staircase and bridge overlooking the family room. The kitchen includes a large center island and an attached morning room surrounded by windows. The master suite includes a large walk-in closet and luxury master bath with soaking tub, separate shower and dual separate vanities. An additional princess bath off of bedroom #2 brings the total full baths to three! A gas fireplace is included in the family room along with upgraded crown molding and chair rail. This opportunity won't last so call today for more information. Photos are not of actual home to be built. Photos are of builder's model." "Hidden Creek is Bruce Paparone's newest luxury home community in historic Medford Township, Burlington County, New Jersey. Just four home sites are available on this quiet cul de sac located just two minutes from Medford Village on Main Street. Medford Village was settled in 1762 and is now home to unique gift shops, boutiques, restaurants and cafes, and The Medford Arts Center. Life at Hidden Creek will allow you to enjoy all that the community of Medford has to offer including year round community events and many parks and recreation areas. The quiet location of Hidden Creek is 30 minutes from Philadelphia and 45 minutes from the Jersey shore. As a resident, you will have access to a variety of outstanding schools including Pre-K through college. The Baldwin Model is available to be built immediately. This Energy Star Certified, luxury home is just one of Paparone's impressive floor plans. There are three elevations to choose from so that you can personalize your new home to your liking. There are far too many features to list. Highlights include an estate room and rear staircase. A gas fireplace is included in the family room along with upgraded crown molding and chair rail. This opportunity won't last so call today for more information. Photos are not of the actual listing, photos are of builder's model home." "So much Home for the money!!!! You need to see this home to appreciate all that it has to offer. Possible in law suite on the first floor, unfinished walk out basement, master suite with two walk in closets and sitting room. Custom built Gary Gardner home with large rooms. Tucked away on a private lane on Branch Street. 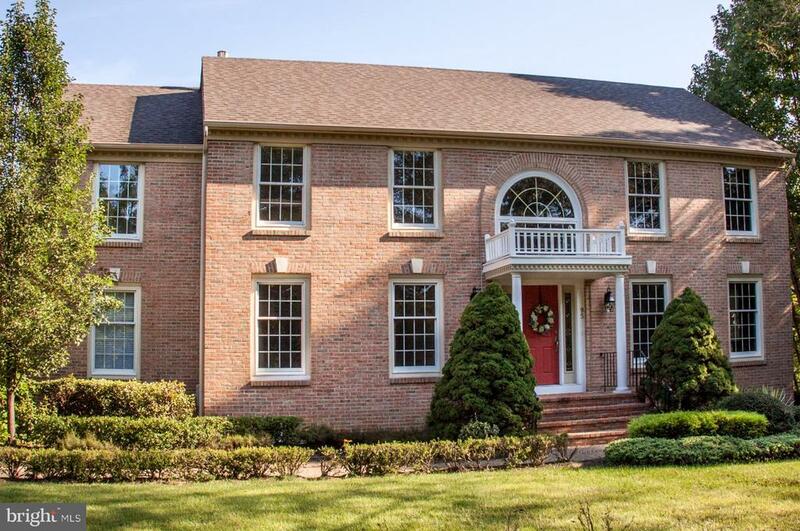 Enjoy luxurious privacy in this colonial style home with in walking distance to the heart of Medford with all its amenities and activities. Featuring 5 bedrooms and 3 1/2 bathrooms in 3470 square feet you will have plenty of room to feel at home. A large unfinished walk out basement with daylight windows adds even more space to this home, walkout to the side yard and private inground pool. This home has a new dimensional roof, all new aluminum capping and new skylights. The main floor has a two-story foyer, vaulted ceiling family room with skylights, ceiling fan and a dramatic floor to ceiling stone gas fireplace. A den is situated with in the family room great for a play room. A first floor 5th bedroom, full bathroom and an office/den are in addition to the formal living and dining rooms with hard wood flooring, eat in kitchen, laundry, powder room and mud room. The kitchen features Cherry cabinets, pantry, granite counter tops with a breakfast bar, tile floor, recessed lighting, a newer stainless steel refrigerator, stainless GE Profile double oven, built in dishwasher and microwave, double sink, waste disposal and an electric cook top. The family room, kitchen and mudroom all have access to the wood deck, via glass sliding doors. Step down to the paver patio, pool area and secluded yard for your own private retreat. The upper level has all new wall to wall carpeting in the bedrooms. There is a full hall bathroom with shower tub combination and skylight. The large master suite includes a sitting room and two walk-in closets as well as a full bathroom"
"Look no further!! 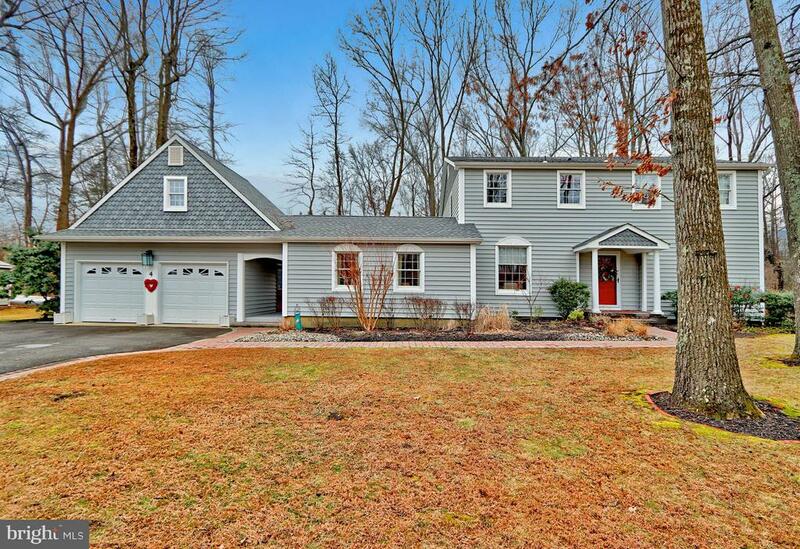 Beautiful and well maintained home nestled within desirable Oakwood Lakes of Historic Medford. Upgrades and tasteful finishes throughout make for a move-in condition. Eat-in Kitchen with updates look out on a spacious deck and private backyard. Large Dining Room with fireplace and a newly renovated Family Room with vaulted ceiling and beams are special rooms for holiday gatherings and parties. A screened-in Porch overlooks a Backyard with wooded privacy. Upstairs Master Suite boasts a renovated Bathroom and plenty of closet space. Oversized Two Car Garage offers a walk-up Loft with Game Room and extra storage. New Roof with a 50 year warranty, new vinyl insulated siding, two zone air conditioning and sprinkler system are extra bonuses. Home is located in a highly rated School District with membership available to Community Beaches which allow for boating, fishing, and swimming. Also Tennis Courts, Playground, Picnic Area and Boat-tie-up. Airports, Shopping Centers, Restaurants, Playing Fields and Shore Points are a breeze with quick access to major highways. The location simply cannot get any better! Schedule your private showing to see this beautiful home!! !The Sellers are offering a One Year Home Warranty!" "This luxurious rancher rests on over a half acre in the Hoot Owl neighborhood & has a New Roof!. This home is relaxing and fun in both the front, which includes a wonderful 40ft front porch, and the backyard, which includes an in-ground maintenance free salt water pool, cabana, newer decking,out door half bath and a gas line for grilling (never run out of propane or coals again!). The outside also includes a detached garage with adjoining Bonus room, currently serving as an art studio, Come inside and see how meticulously well maintained the home is kept featuring refinished hardwood floors and renovated kitchen with 4 seat island, beautiful granite counters, 42 cabinets, recessed LED lights and stainless appliance package. The large dining room includes a gas fireplace, built-in China cabinets all overlooking the backyard. Family room also has built-in bookshelves, a brick walled fireplace, and brick floor. Master bedroom has another fireplace, this one electric, with double closets making enough storage for anyone! Master shower was recently updated with subway tile. Hall bathroom includes newly tiled tub, Toto toilet and bidet. Enjoy the wet bar in the sunroom with a wood burning stove and a great view! This home has replaced windows, 4 zoned heating, and much, much more. Seller says bring all buyers!" "Beautiful 3 Bedroom and 2.5 Bath colonial style home on a corner lot. This home screams pride of ownership as it has been meticulously maintained throughout the years by the homeowner. The home offers large room sizes throughout, hard wood flooring, a sunken Family room with a brick fireplace, newer windows throughout, a neutral decor throughout, a large bay window in the formal living room, an open floor plan, a newer sliding glass door to the back patio, and top it off with a large finished basement. The exterior of this home offers a paved driveway that leads to a 1-car garage, professional landscaping, maintenance free siding, a large patio to entertain on, and all on a large fenced-in corner lot. Don't miss your opportunity to see this wonderful home."